WEIGH IN: Should Prophit Quit His Day Job? Prophit left college to pursue work in the music business, quickly lining up jobs at both Columbia and Mercury Records. After some time working in artist management, he finally convinced himself that it was time to let his secret be known. 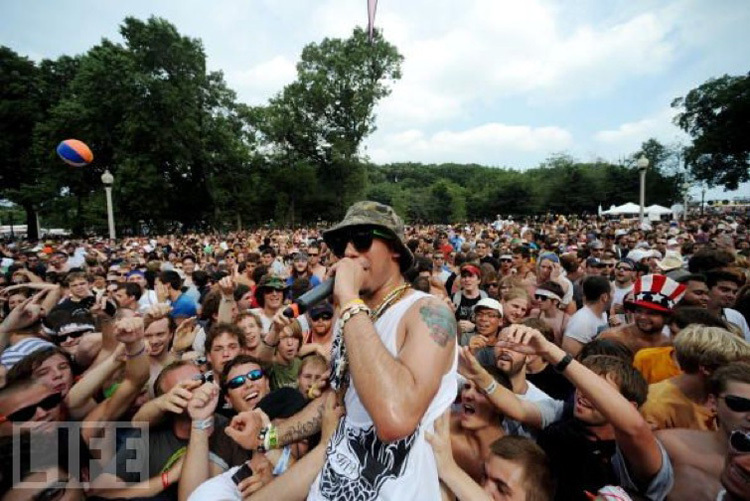 Summer 2009, just barely one year into his grind, Prophit found himself standing in front of a crowd he’d never thought he’d see so soon, Lollapalooza. Playing for a fresh crowd of 5,000 people away from home, Prophit’s show was “highly praised” by fans and industry elite. Far from keeping his music a secret, these days Prophit is busy pushing his name, working on an album, and performing all over the country. With 2 mixtapes under his belt as well as making a name for himself in the NYC underground playing at venues like BB Kings opening for Lloyd Banks to Brooklyn DIY warehouse shows with friends like Ninjasonik. Prophit is poised to grab the universal audience he desires.